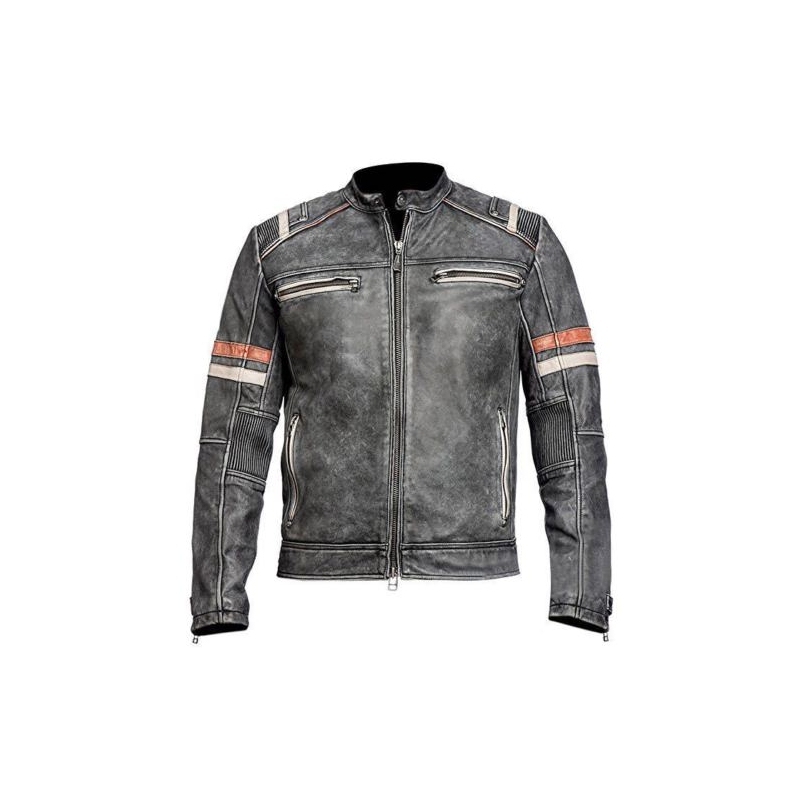 With a retro design, this biker jacket is modern and trendy, the orange really pops against the grey leather! 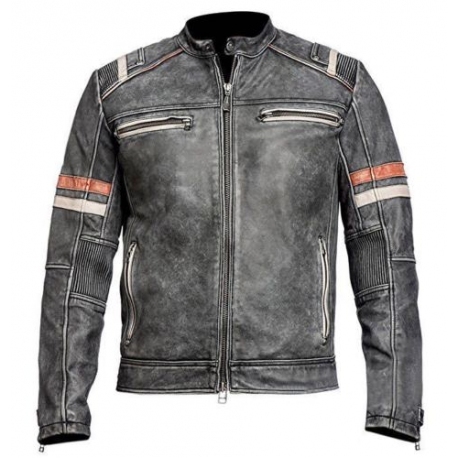 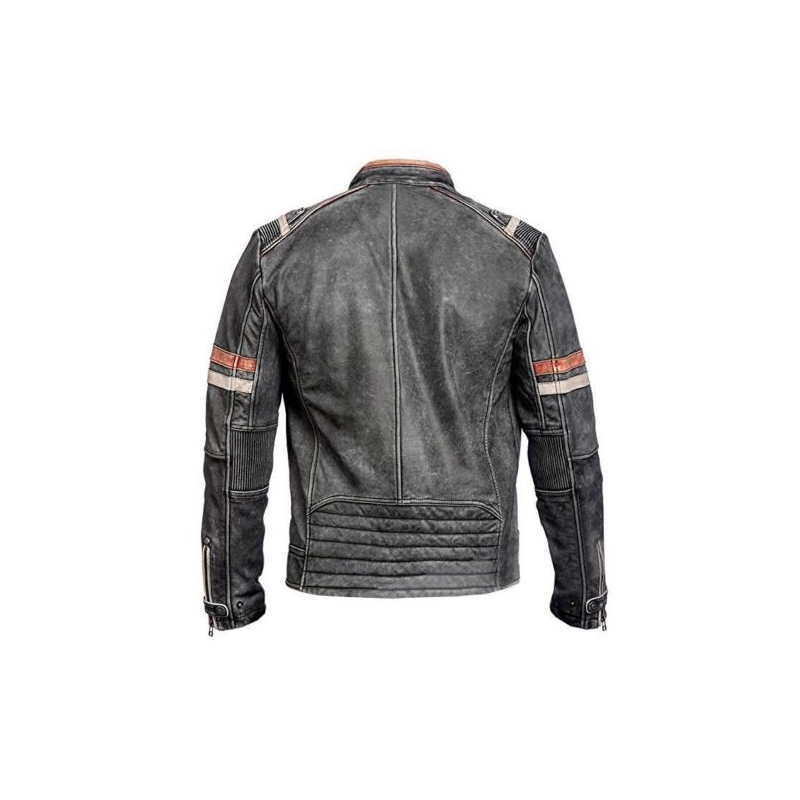 Made from genuine cowhide leather with a grey distressed leather, the leather is thick and durable and great for fashion and bike riding. 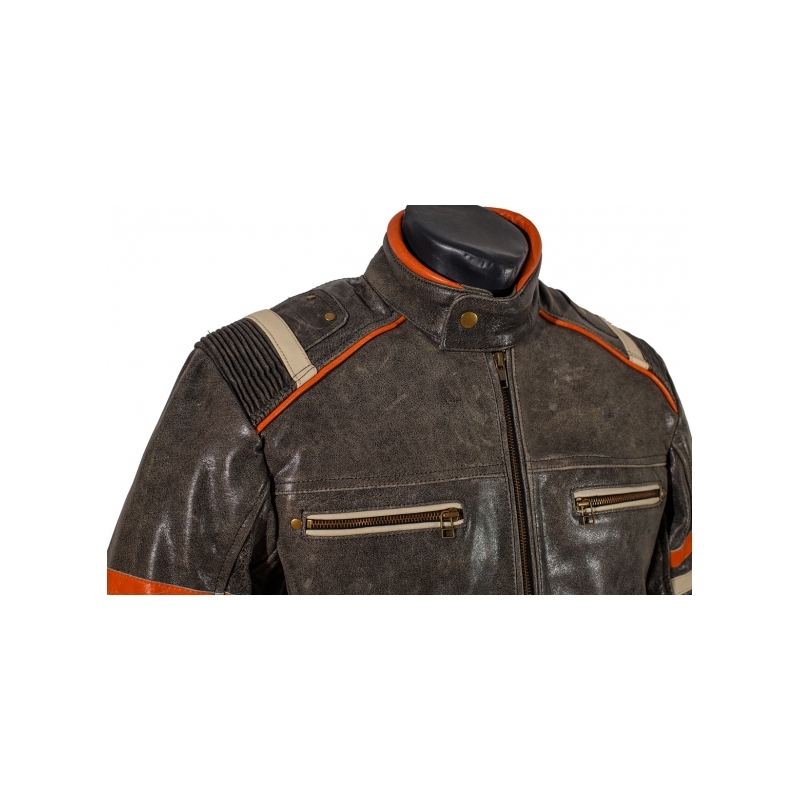 The double lining makes it suitable to wear all year round, the quilted polyester lining can be removed easily during the warmer seasons. With armour pockets for the shoulders, back and elbows which can easily be placed. 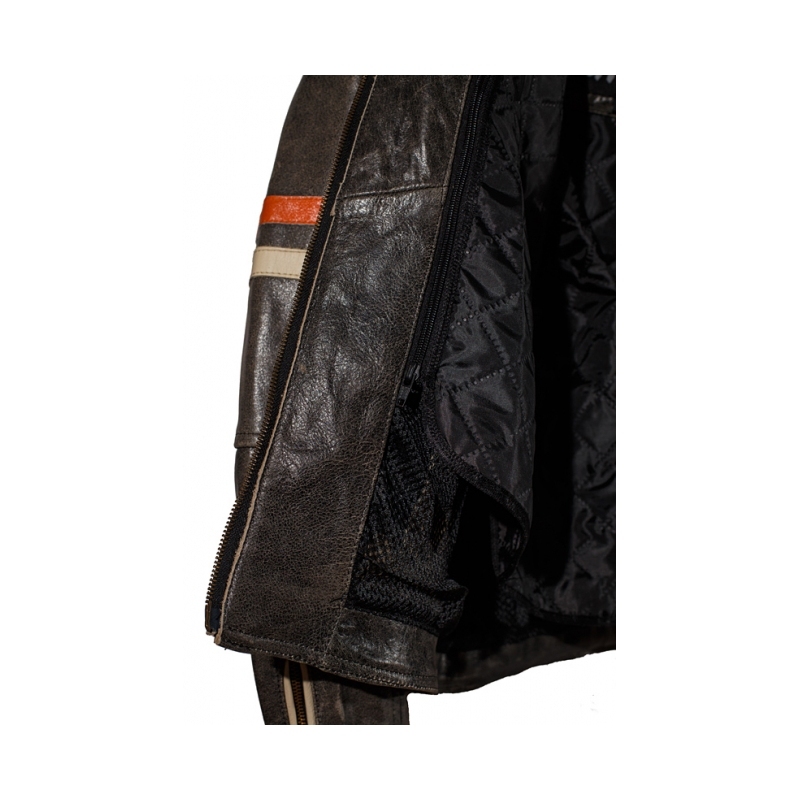 The cream and orange leather stripes add a retro look to the jacket, with stripes on the shoulders, collar and around the pockets.